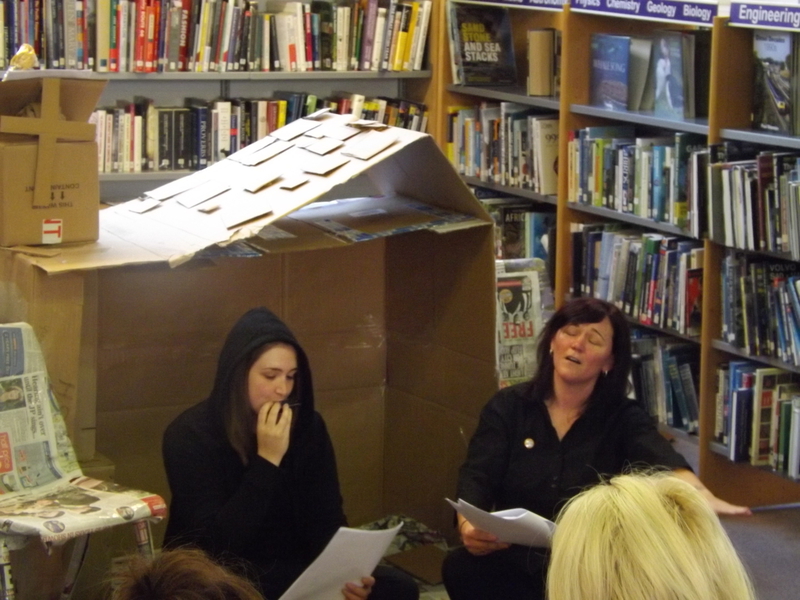 Beach Hut Theatre Company’s ‘Walking the Breadline’ was a short festival held on Saturday October 11th at Scarborough’s Library and Information Centre, Vernon Road. 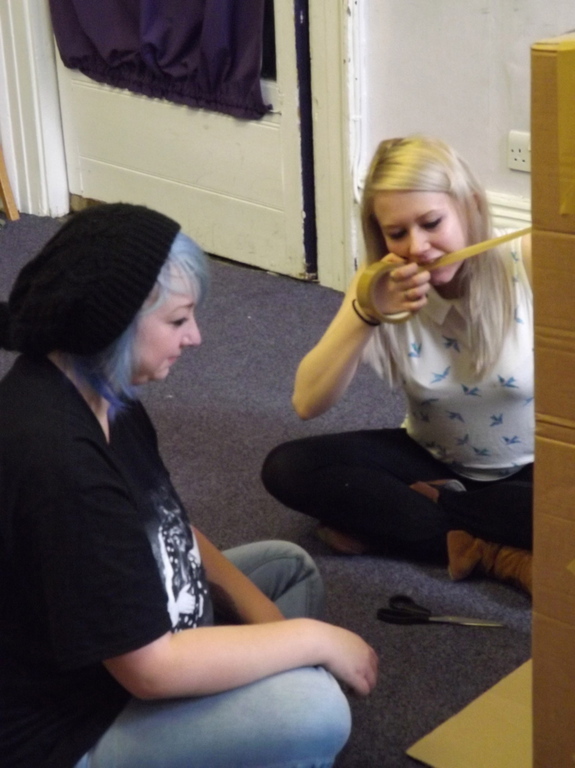 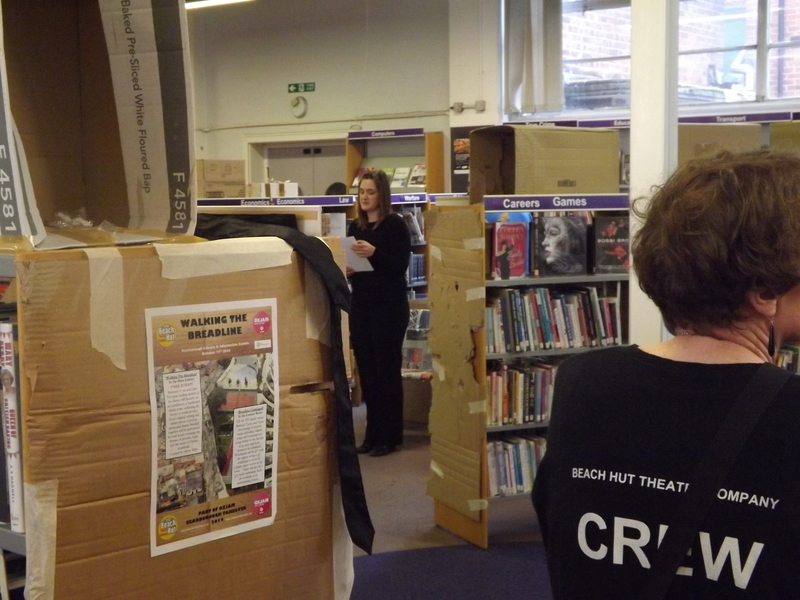 Beach Hut Theatre Company combined forces with Oxjam Takeover, Scarborough and North Yorkshire County Council to create an all day event comprising dramatic performances, thematically linked to an evening of songs and live acoustic music. 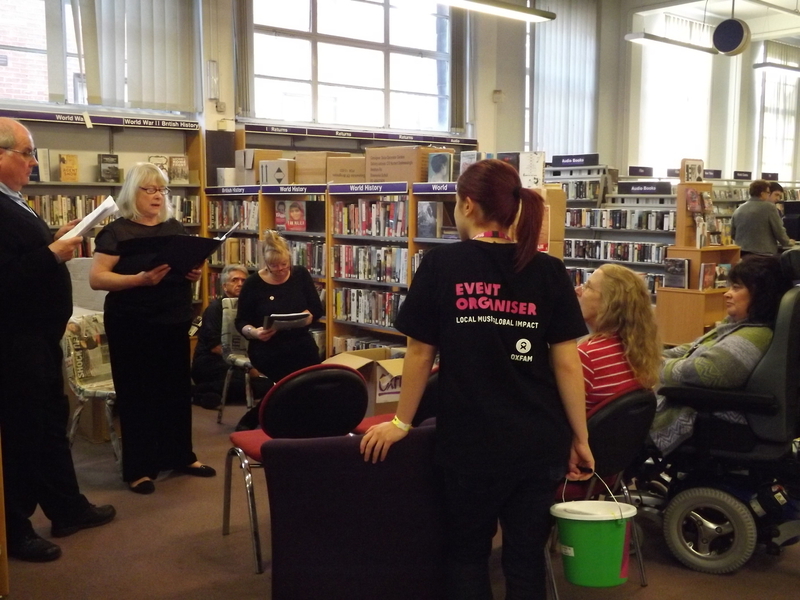 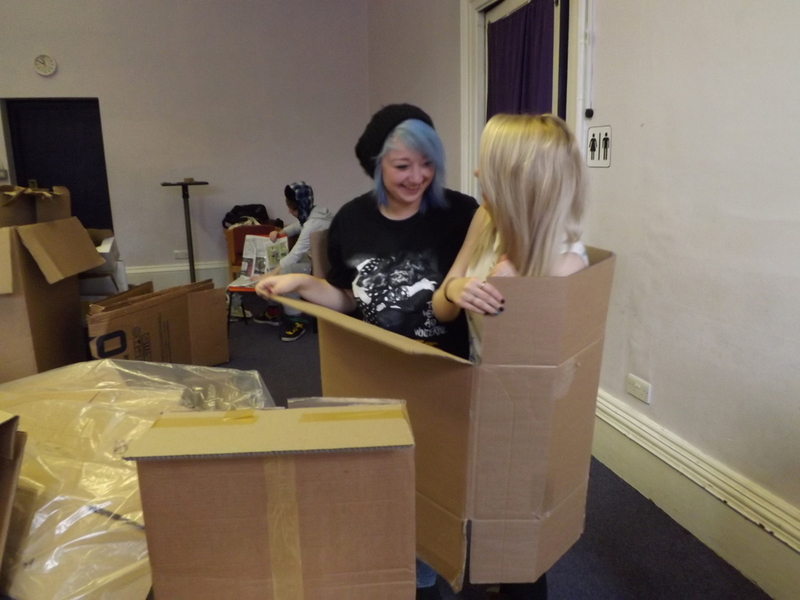 Supported by Oxfam, these two linked events celebrated Scarborough’s participation in the 2014 annual, national Oxjam Takeover along with other gigs in the town. 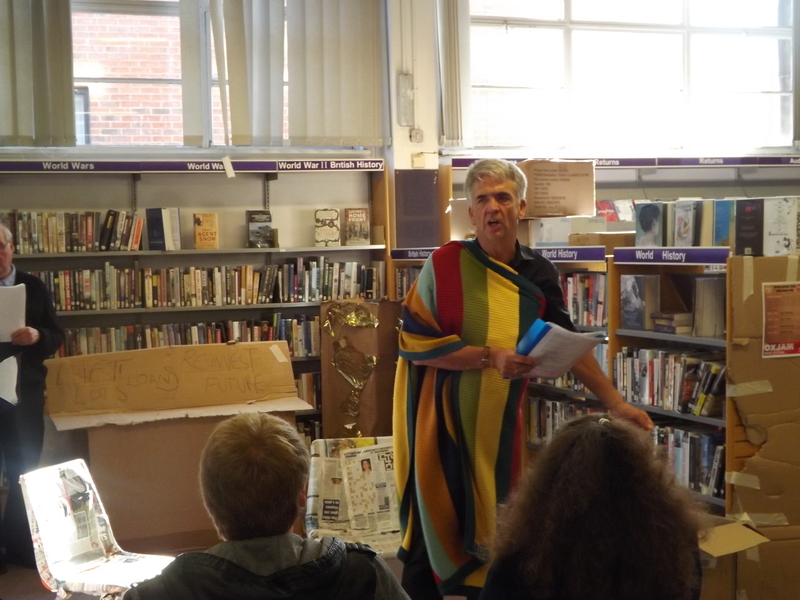 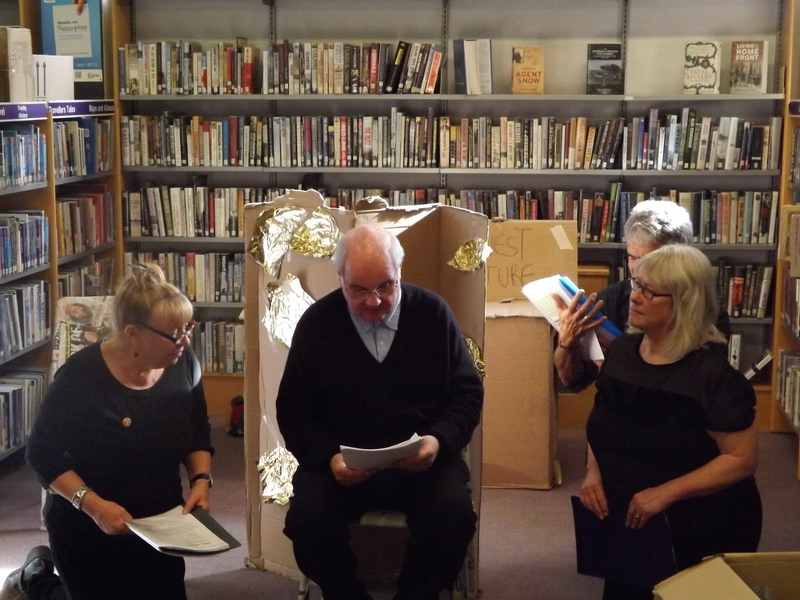 The theatre work, curated by Beach Hut’s Alison Watt, was an assemblage of local original writing and extant pieces of poetry, prose and drama blended together and performed by local actors covering the themes of poverty, hope and the work of Oxfam world wide. 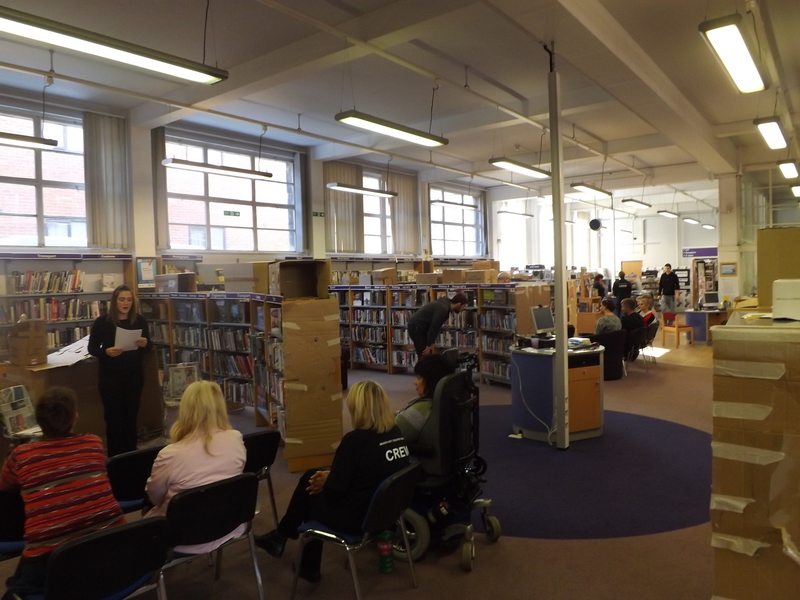 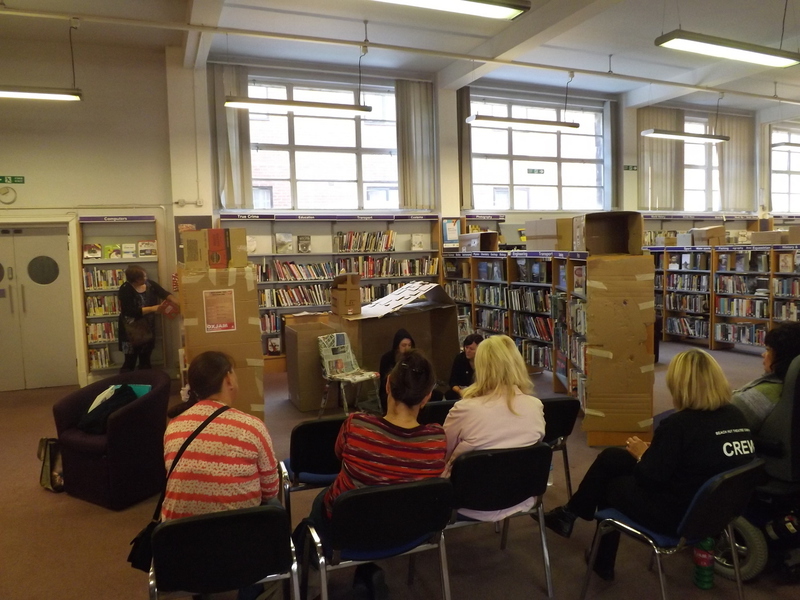 Prior to the performance beginning, the downstairs interior of the library was transformed. 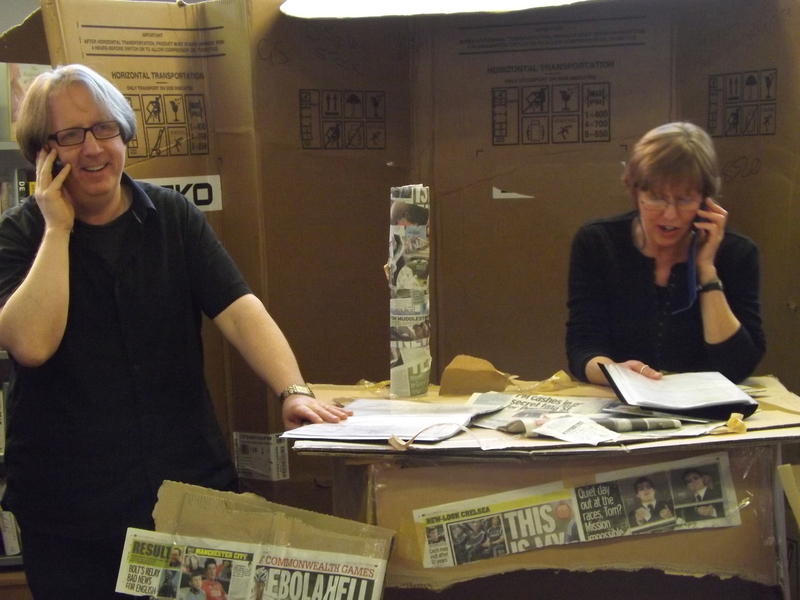 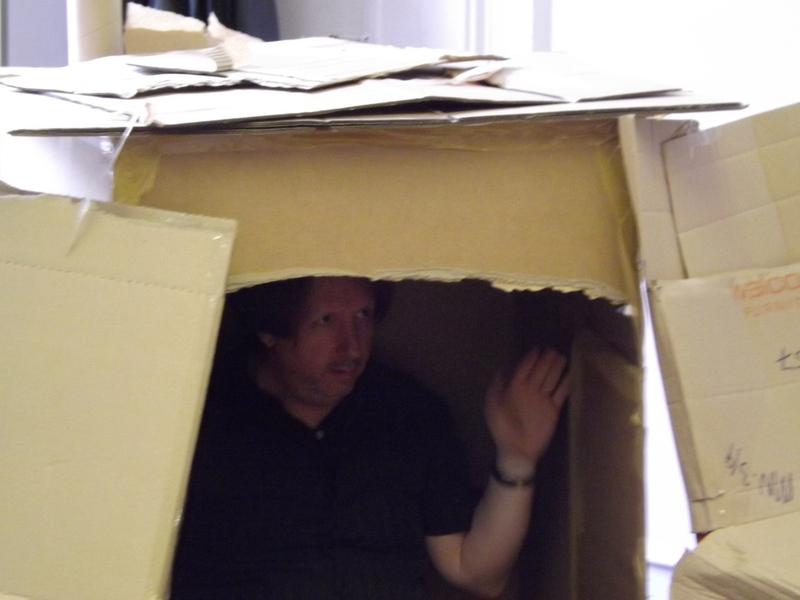 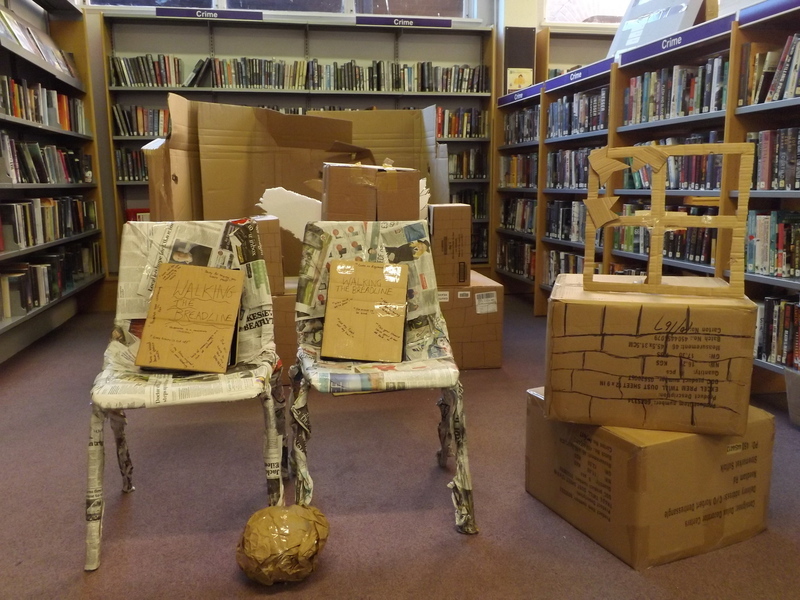 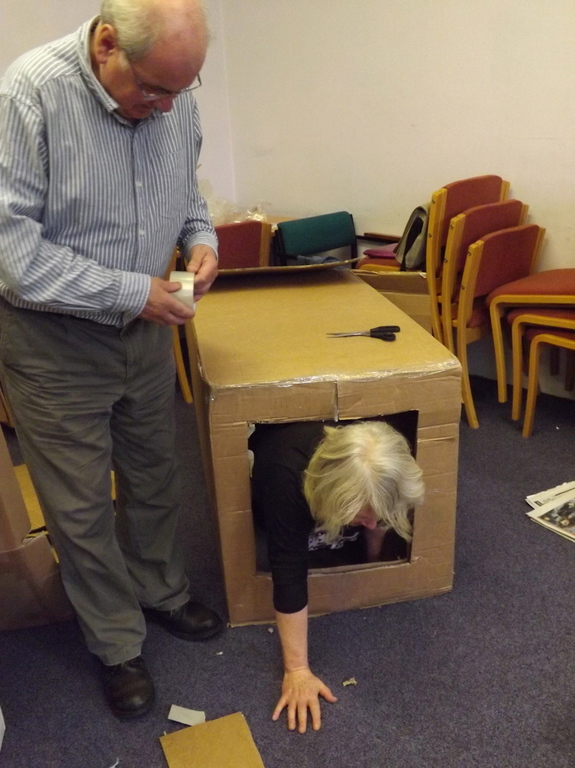 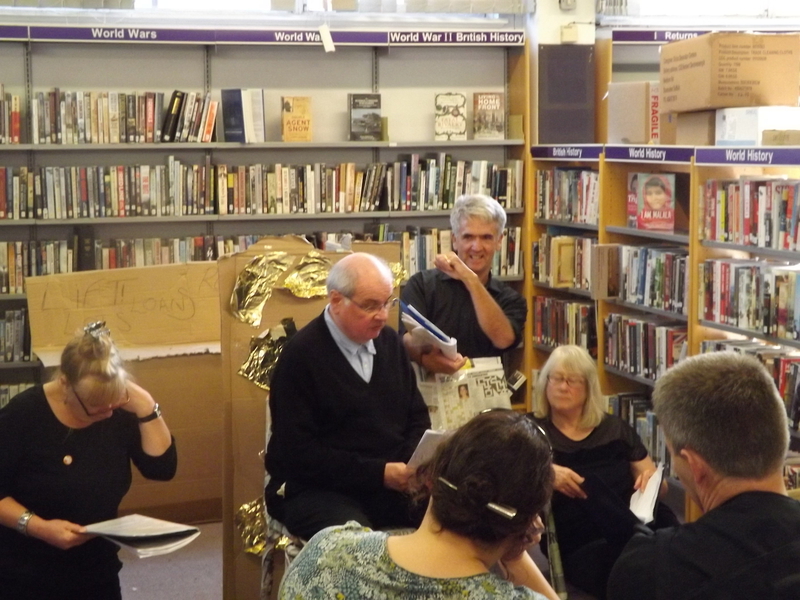 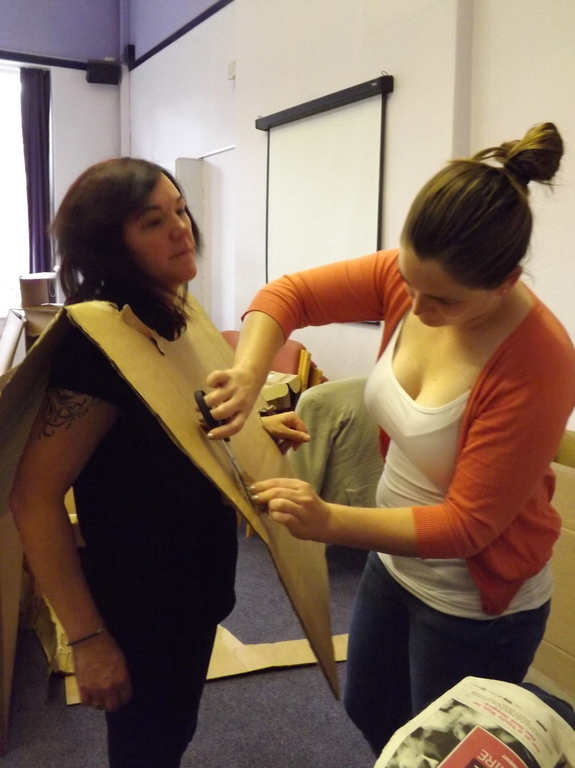 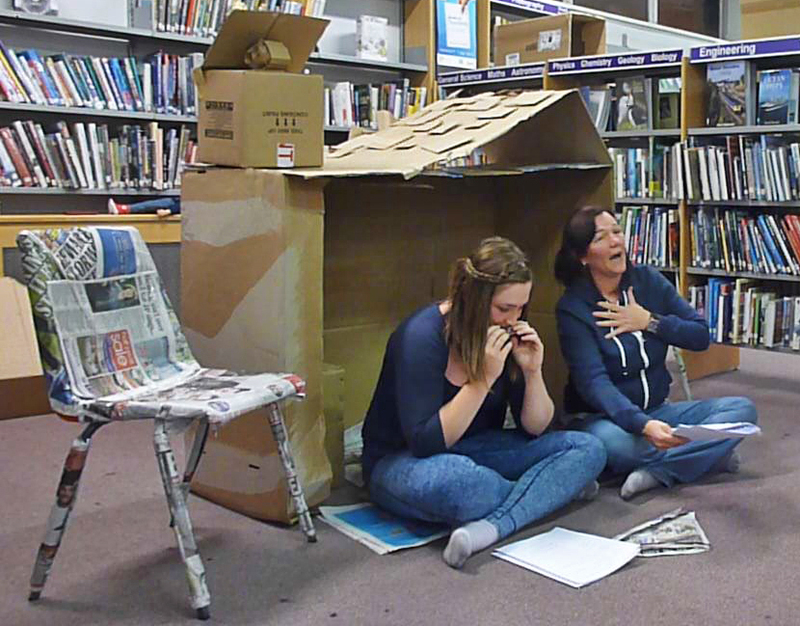 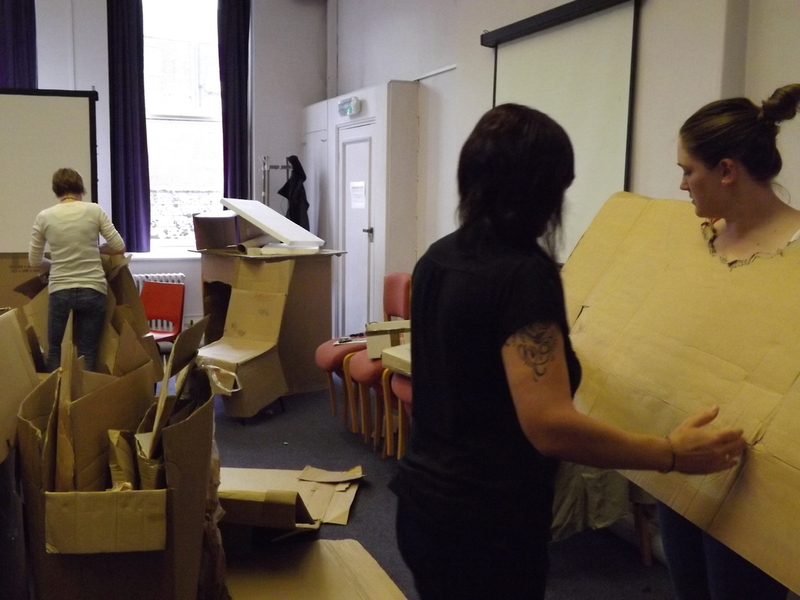 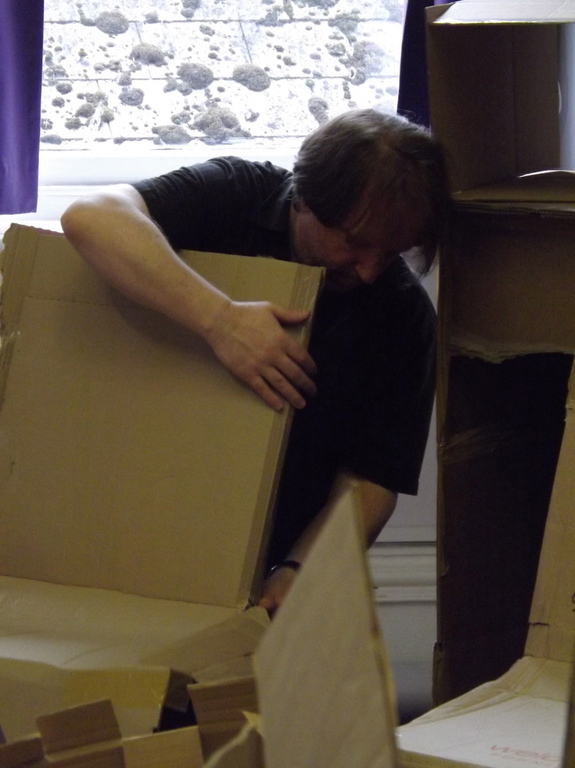 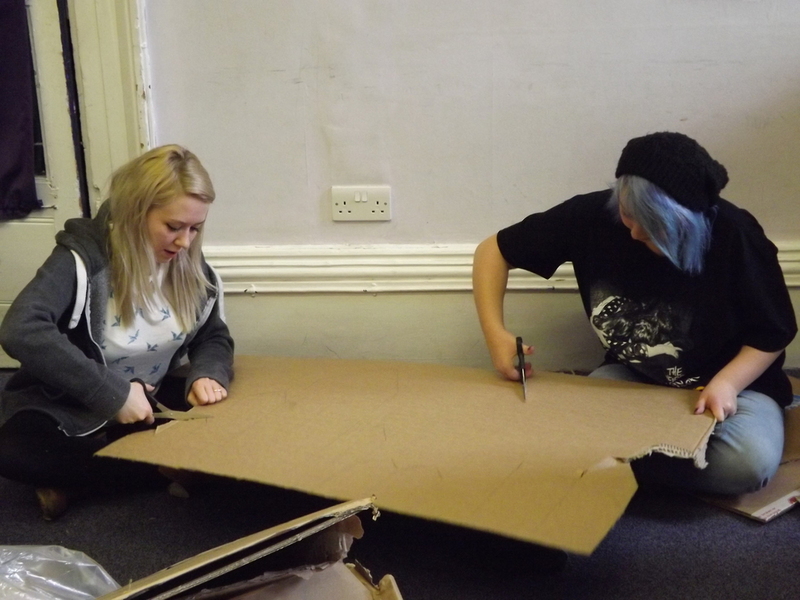 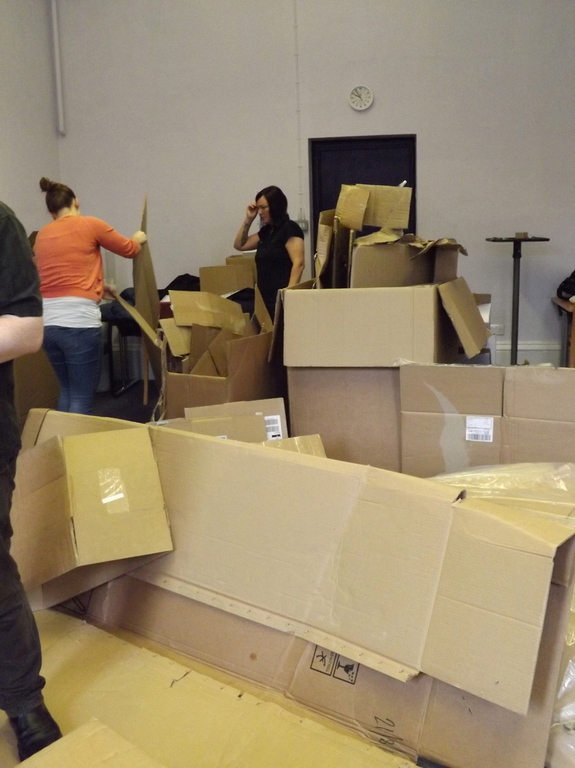 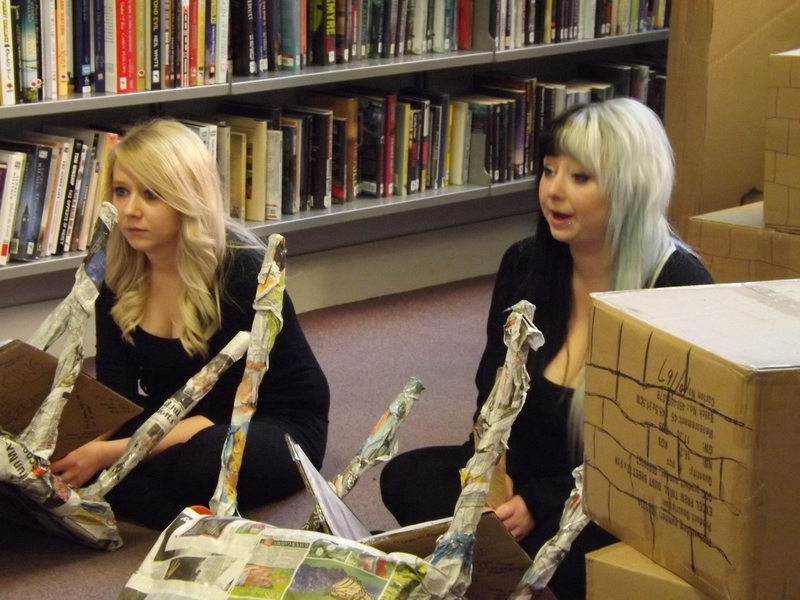 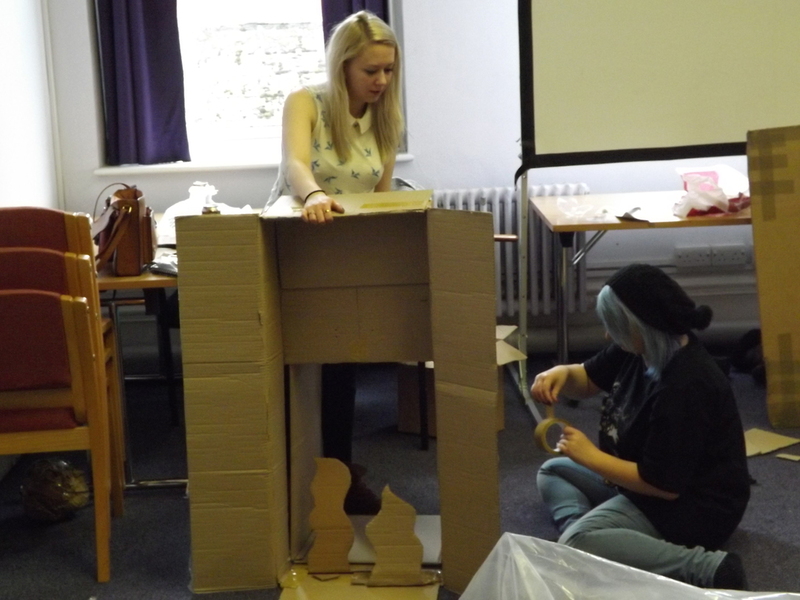 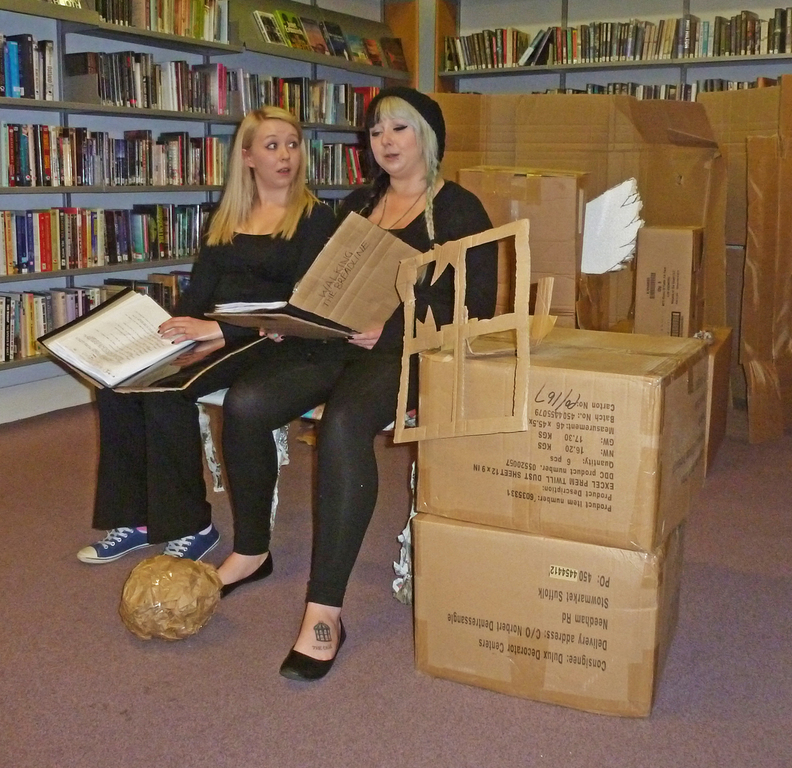 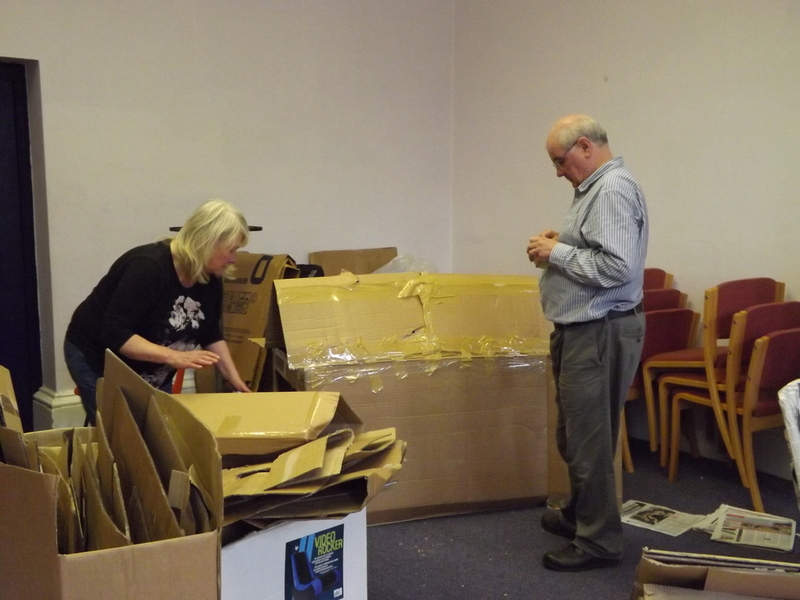 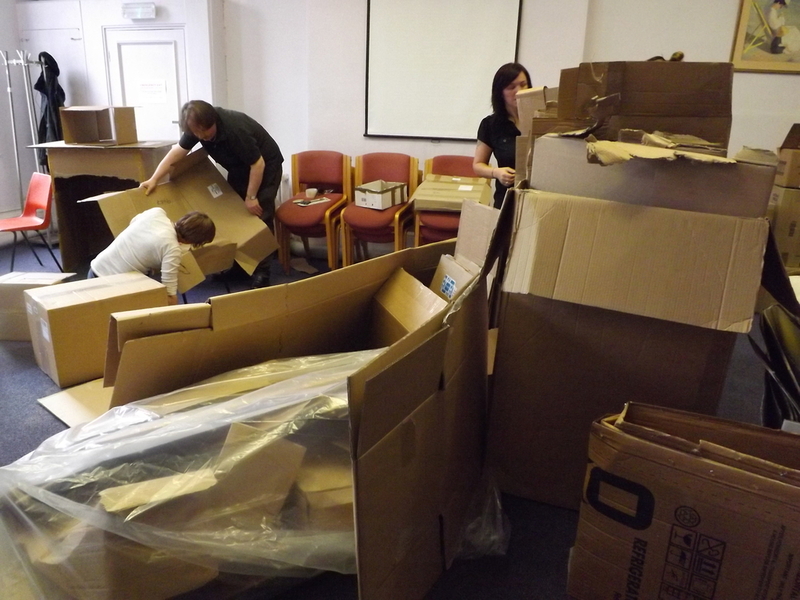 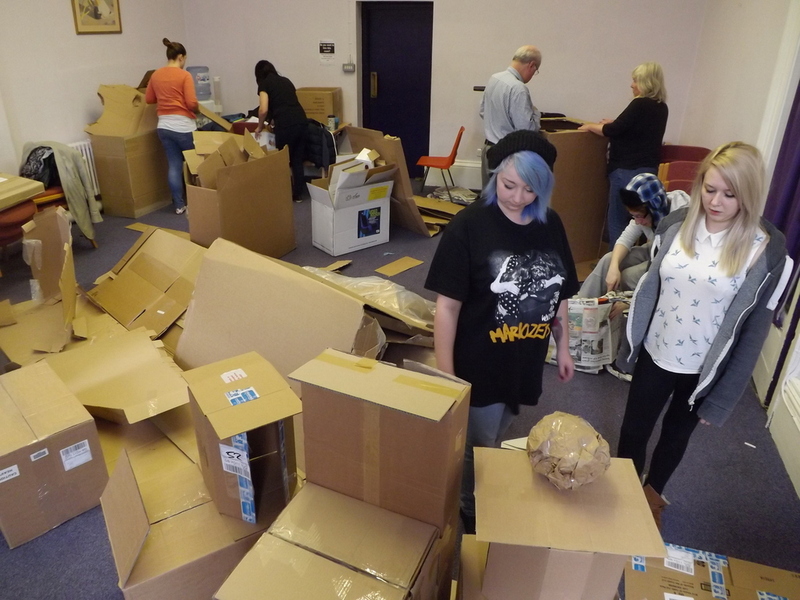 Acres of cardboard donated freely by local shops meant that the main lending section of the library became an art installation, a ‘cardboard shanty town’ reflecting the theme of world poverty. 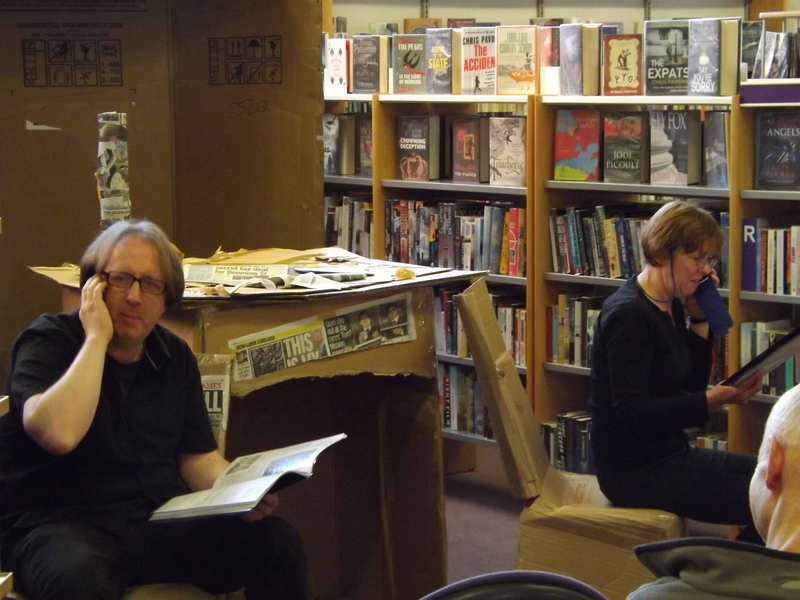 The installation provided performance spaces for the spoken action following, around which the audience moved from location to location as they wished. 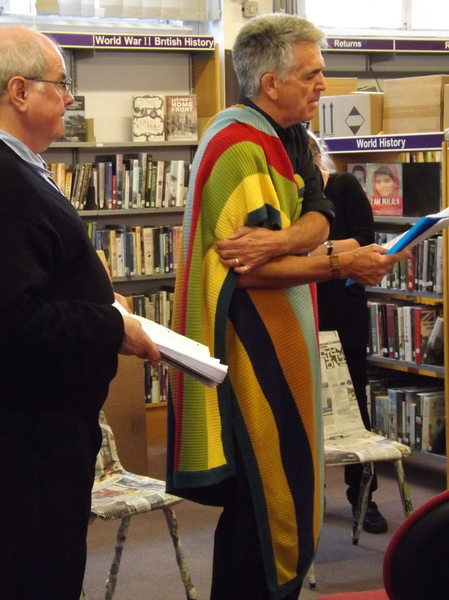 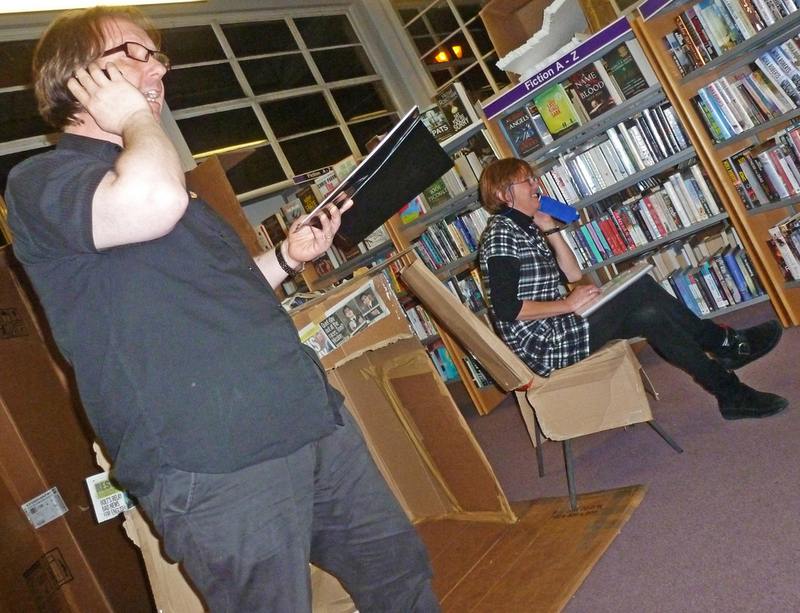 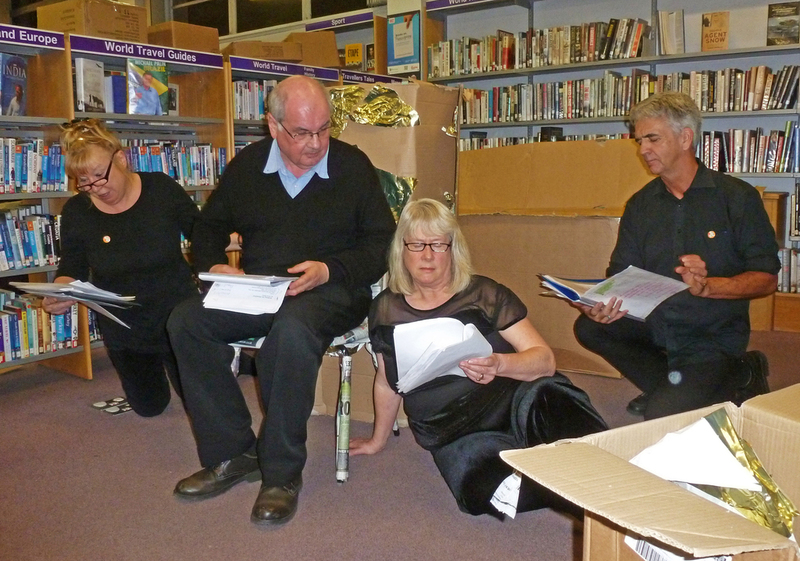 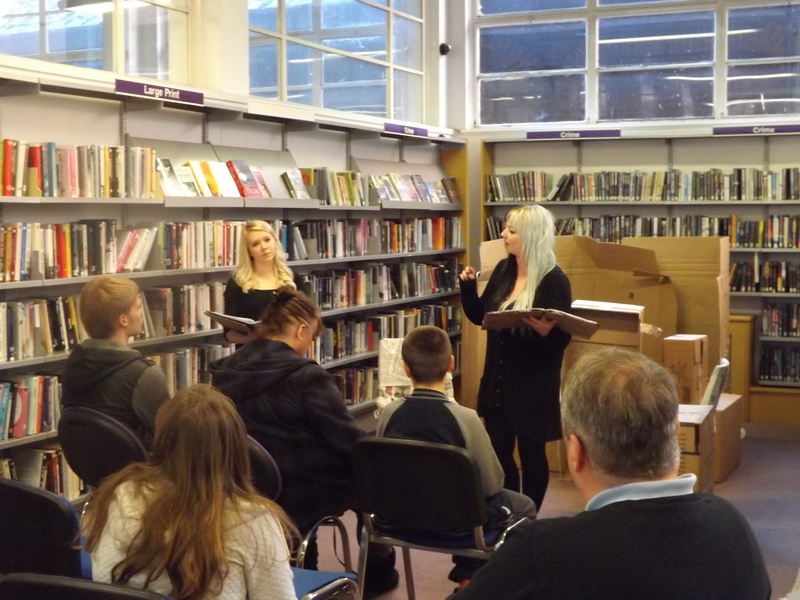 Activities included script-in-hand rehearsed readings of short plays by local writers, readings of original and well-loved poetry and prose and the opportunity to hear case study insights into the work of Oxfam at home and overseas. 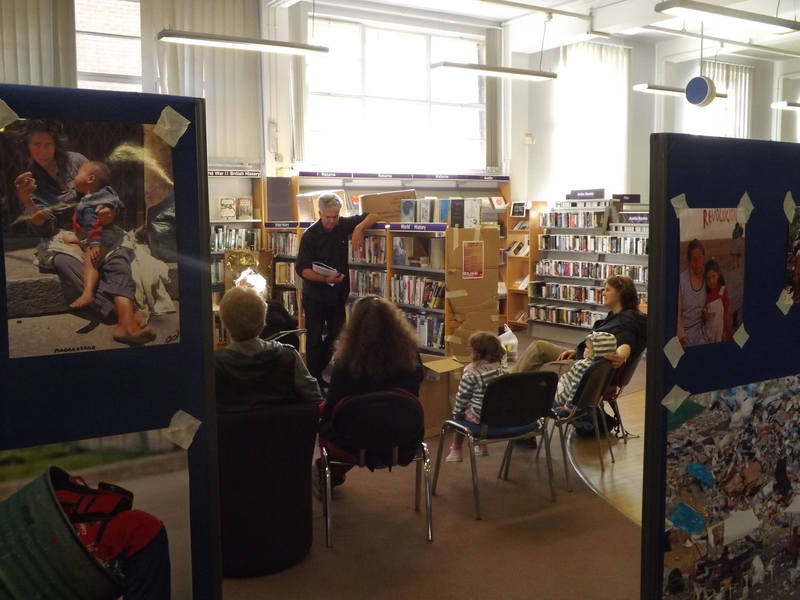 There were theatrical buskers in the foyer area and a photographic exhibition. 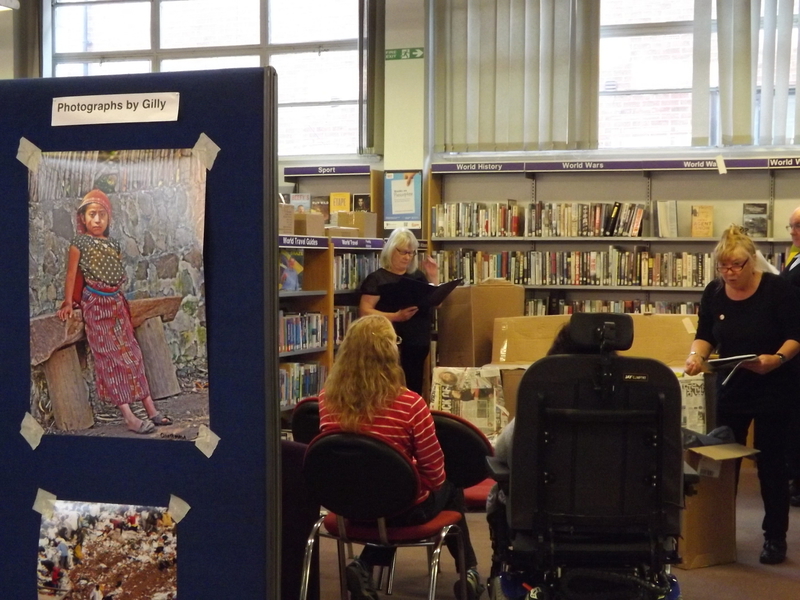 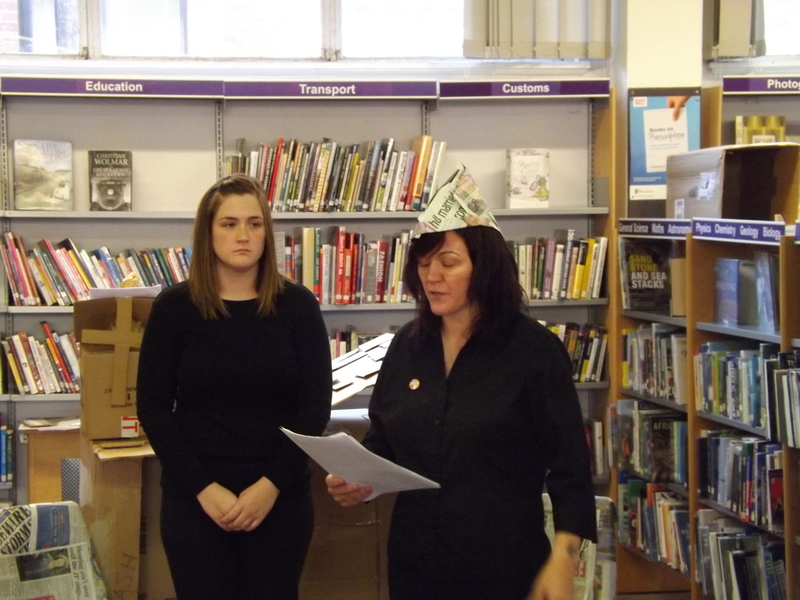 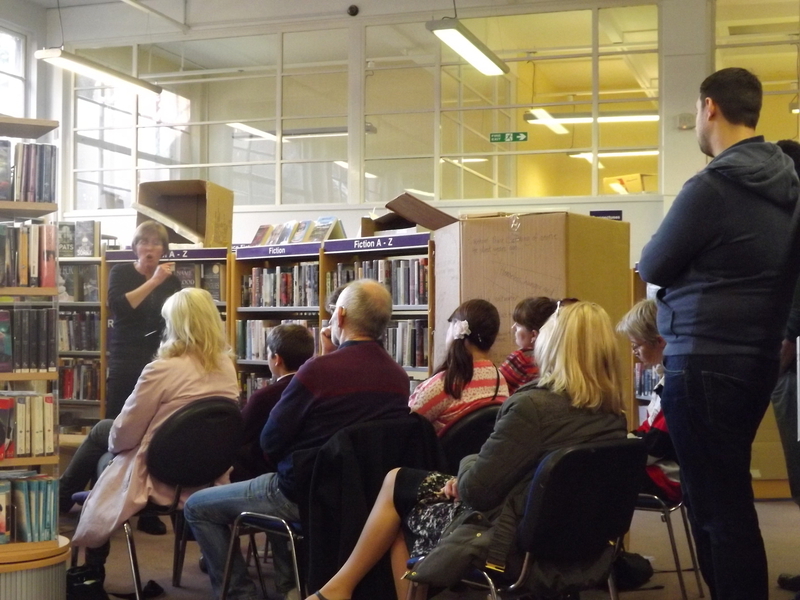 This part of the festival was a free event, as it took place during normal library opening hours. 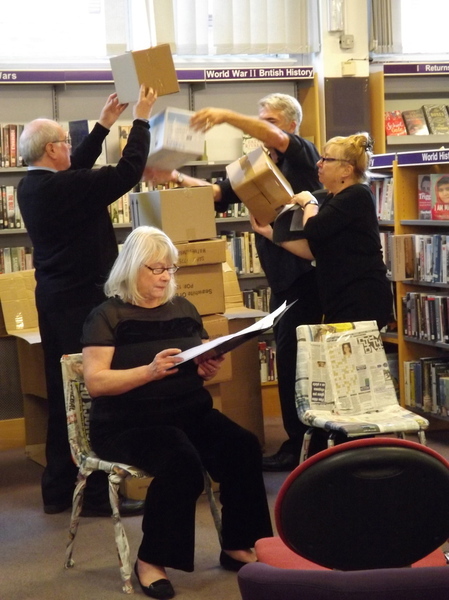 The performance ran from 11 a.m. until 2 p.m.